Please verify and make sure this product is sealed in its original and untampered package. If this is not the case, please sell via 0.9995+ Pure Rhodium Bar or Coin. The esteemed British bullion manufacturer, Baird & Co., changed that situation with these bars. These bars are minted in the United Kingdom from .999 fine rhodium, given the rarity and respect in the bullion market. The 5 oz Rhodium Baird Bars are made of the rarest precious metal available to you in a familiar format. Made with a hint of English pride, they conform to the very highest standards of quality. Established in 1967, Baird & Co. is dealing in numismatic gold coins of the world moving towards volume dealing in bullion gold as government restrictions eased in the 1970s. Active by 1975 'making a market' quoting, Baird & Co. has been buying and selling prices for banks, stockbrokers, coin dealers, retail and wholesale jewelers and other volume traders in bullion gold coins, as well as for private buyers, becoming one of the UK's leading trading houses of the period. Why sell Rhodium Bars to Kitco? 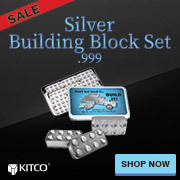 Kitco is a trusted leader in the rhodium bullion and physical precious metals industry. Rhodium and other precious metals sold to Kitco are recognized in bullion markets around the world. With our focus on rhodium bullion bars, you can benefit from our competitive rhodium bar prices and premiums within the rhodium bullion industry. At Kitco, we make it easy for you to manage your tangible wealth. You can buy and sell rhodium bars and other precious metals using our convenient online store, or by contacting our team of highly trained precious metals specialists. Backed by our global information network, Kitco has proudly served our customers since 1977.